Mike and I have been married for 26 years. We met on a blind date in Seattle back in Feb. 1991 and were married only 7 months later. We moved to southern California in early 1992, raised our kids and 26 years later, we moved to the small town of Central Point, Oregon. Mike has been in the seafood industry since he was 17 years old. His first job was throwing fish at Pikes Place Market. Since then, he has worked his way up the seafood ladder and is now an importer of fresh fish from all over the world, most specifically South America, Iceland and New Zealand. He holds a BA in theology, an MA in Ethics, and a PHD in metaphysics. I am so grateful for this man. Jordan Shaenoa, is my oldest boy at 30 years old. I was a single mom for two and a half years before I met and married Mike. He was born in Hawaii. We moved to Seattle in 1989 when he was a year old, because at the time I was a flight attendant with Hawaiian Airlines and was based there. Jordan is an intuitive and driven leader and is currently the southern California distribution manager for Treasury Wines He loves a great time, and has been a Seattle Seahawks fan since he was 3 years old. He also loves all superhero movies and often thinks he is one. Justin Daniel Kaleialii is 24. My quiet very compassionate soul. Justin works at LA FITNESS full time. He is an avid sports fan and loves both the Seahawks and the Mariners. He enjoys working out and can hold his own in the kitchen, cooking. He doesn’t like superhero movies but prefers to watch every episode of Sports Center, Baseball Tonight and every basketball game on TV. He also loves animal videos and rap music. Jillian Victoria Ula’okalani is my youngest at 22 years old. 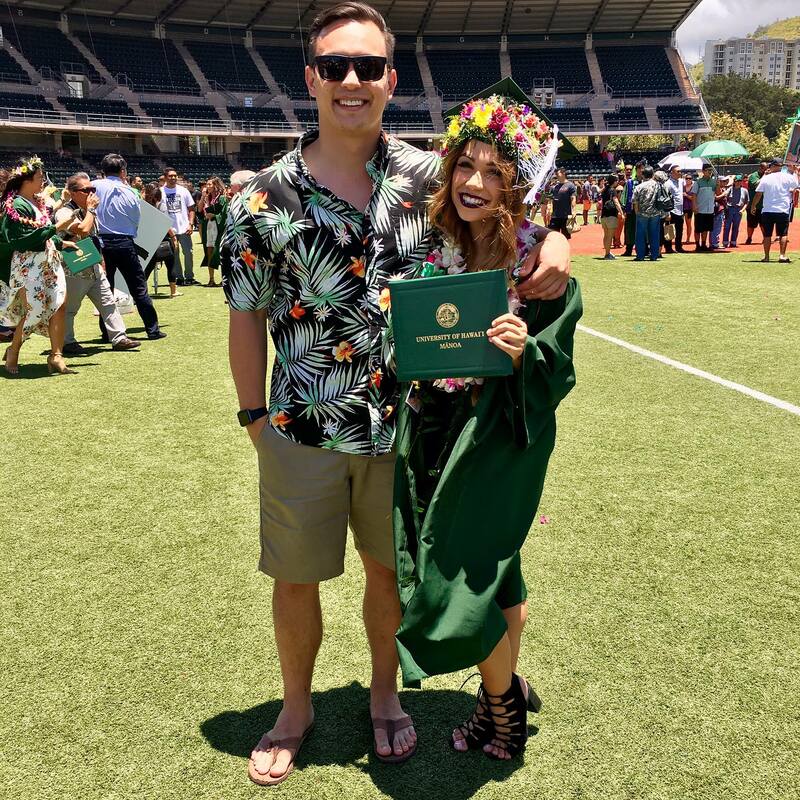 She graduated in 2017 from the University of Hawaii with her BA in Political Science and Government. She loves the island life, which is so much different than the southern California life. I have said that she is the island girl that I never was growing up in Hawaii. She has embraced the culture, the people, food and the Hawaiian language. She is not only beautiful but free spirited, independent and loves to workout. Her body building buddy is her beau of almost two years, Koa. She will be moving back to the mainland this summer.